HP HAVEN is a platform comprised of software, services, and hardware that analyzes 100% of the data relevant to your organization. Now Big Data of any type—structured and unstructured—can lead to powerful strategic insights. When you have 100% of your data informing every decision, anything else is just an educated guess. IDOL: Process and index all information. 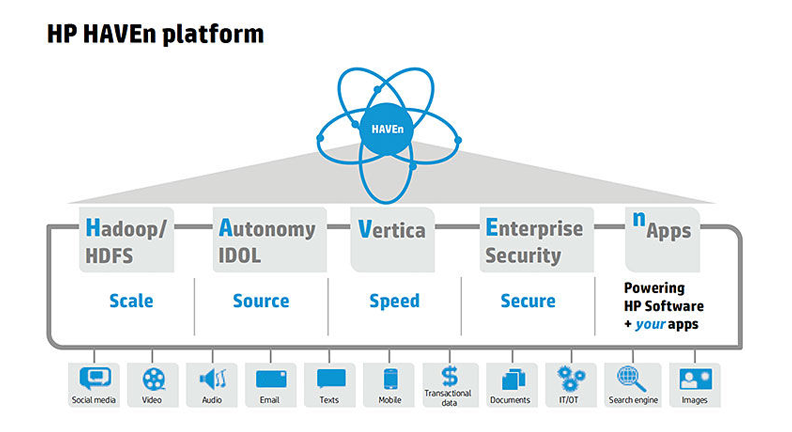 Vertica: Analyze at extreme scale in real-time. Enterprise Security: Collect & unify machine data. nApps: Powering HP Software + your apps. This ecosystem lets you choose the products that will benefit your business. 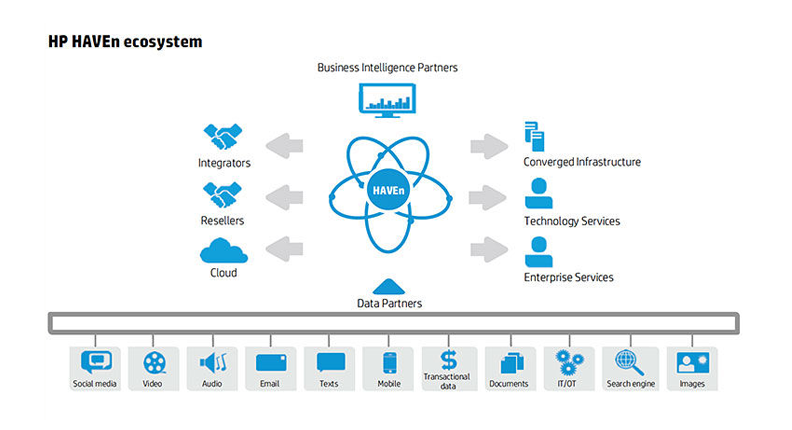 HAVEN brings together everything you need to profit from Big Data with hardware, software, and services from HP and the HP HAVEn partner ecosystem.